>> CV, FRANCAIS >> CV, DEUTSCH >> CV, NEDERLANDS >> REPERTOIRE, OPERA >> MEDIA/DISCO. Sophie Marilley, born in Fribourg (Switzerland), studied singing at the Music Conservatory of her native city where she graduated in 1999 (class of Antoinette Faes). Subsequently she attended master classes with Irwin Cage, Brigitte Fassbaender, Anthony Rolfe-Johnson and others. And, eventually she completed her vocal education at the Flanders Opera Studio. She is price-winner of the 2002 International Belvedere Singing Competition in Vienna. Sophie Marilley began her career at the Fribourg Opera where she sang La Périchole (title role) and L’Etoile (Lazuli). From 2001 through 2005, she was hired as a soloist at the Osnabrück Opera, performing Le Nozze di Figaro (Cherubino), Cosi fan tutte (Dorabella), La Cenerentola (title role), La Perichol, Die Fledermaus (Orlofsky), Der Rosenkavalier (Octavian), among others. 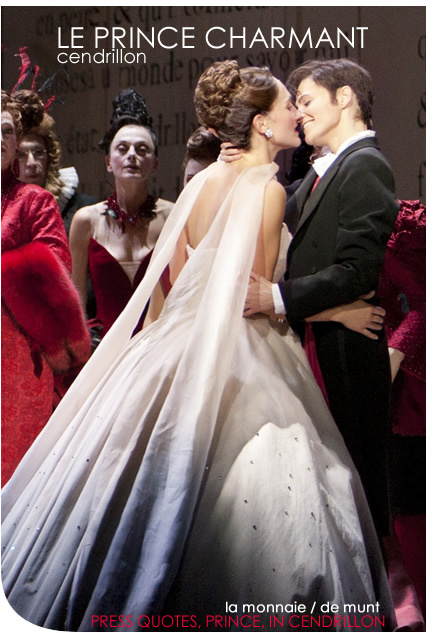 Subsequently until 2011, she was a soloist in the ensemble of the Wiener Staatsoper, performing roles such as Cherubino (Le Nozze di Figaro), Stéphano (Roméo et Juliette) and Nicklausse (Les Contes d’Hoffmann). Eventually she joined from 2011 till 2017, the ensemble of the Opera House of Stuttgart, performing roles such as Cherubino (Le Nozze di Figaro), Junon (Platée), Donna Elvira (Don Giovanni), Komponist (Ariadne auf Naxos), Octavian (Rosenkavalier), the title-role in Il Vologeso (N. Jommelli) and as Nicklausse in Contes d'Hoffmann (new production, 2016). More recent she appeared in new roles as Krista in The Makropulos Affair and the Male Fox in The cunning little vixen, two operas produced within the legendary Janacek-cycle directed by Robert Carsen at Opéra national du Rhin Strasbourg ; the more she sang Siebel (Faust) and created the role of Elvire in the world première of "Erdbeben. Träume" by the Japanese composer Toshio Hosokawa | Libretto by Marcel Beyer, both in Stuttgart, this time as a guest singer. Also noteworthy : her debut at the Opera House of Monte Carlo where she took part in Les Contes d'Hoffman (Nicklausse). Sophie Marilley has meanwhile sung under the baton of renowned conductors such as Bertrand de Billy, Adam Fischer, Marco Armiliato, Franz Welser-Möst, Ulf Schirmer, Christian Thielemann, Christophe Rousset, Hervé Niquet, Jérémie Rohrer, Sylvain Cambreling, Marc Soustrot, Michael Schönwandt, Antony Hermus, Alain Altinoglu, Marko Letonja and many others. Guest engagements included repeated appearances at Flanders Opera (Clarisse in The Love for three oranges, Mercedes in Carmen), at the Wexford Festival Opera (Laura in Die drei Pintos, Hänsel in Hänsel und Gretel), at the St Gall Opera (title role in La Cenerentola), at the Graz Opera (Nicklausse in Les Contes d’Hoffmann), at the Opéra de Lausanne (Dorabella in Cosi fan tutte), at the Angers Nantes Opéra (Lazuli in Chabrier’s L’Etoile and Cherubino in Le Nozze di Figaro), at the Teatro Sao Carlo in Lisbon (Sesto in La Clemenza di Tito) and at the Royal Theatre La Monnaie (Cherubino in Le Nozze di Figaro and the Prince in Cendrillon). BRF.online affirms that "the young mezzo-soprano incarnates the Prince with a magnificent diction and absolute credibility". 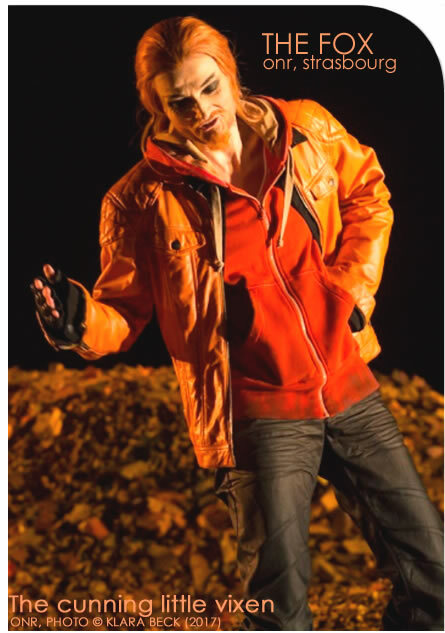 Le Soir "admires the hear-warming fragility of the young swiss mezzo's Prince". La Libre Belgique emphasises that "the mezzo Sophie Marilley - warm voice and superbe diction - embodies a very personal and credible Prince (Charming)". The Luxemburger Wort adds that "with her appearance as young boy of the streets, Sophie Marilley plays her breeches part of Prince Charming with aplomb". De Standaard De Standaard claims that Sophie Marilley simply "outplayed all her colleagues and was the one who completely chimed with her role musically."